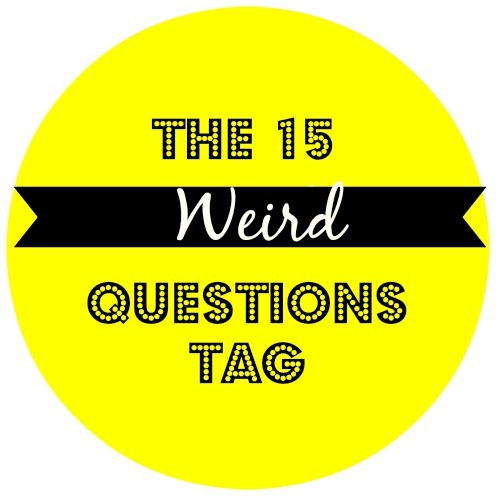 jaanika: 15 weird questions tag! 1.What's a nickname only you family call you? 2.What's a weird habit of yours? * The only weird habit that comes into my mind is that i always have to walk right side of the road when i am with somebody.I just can't walk the other side,it makes me so uncomfortable. 3.Do you have any weird phobias? * I think that i don't really have phobias,but i am TERRIFIED of snakes! Like literally i get panic attacks when i see them in real life.I can like watch them on tv and i am not that scared because i know that they are not physically near me but i live in a island and now that the summer is here,they are literally everywhere and i am so scared of walking around.Luckily we have only two types of snakes in Estonia and only one of them is poisonous.And in the island we have the non poison snakes and i know that they don't kill me or anything but still i can't handle it.I rather eat a full raw onion ( i hate onions btw) than getting used to them being around me. 4.What's a song you secretly love to blast and belt out when you are alone? 5.What's one of your biggest pet peeves? * I hate when somebody touches my feet.I hate it!.It tickles and i don't like it at all. 6.What's one of your nervous habits? * When i am nervous,i start to rub my hands,almost like applying hand cream.Also my voice get's super shaky and high. 7.What side of the bed do you sleep on? * I sleep on the right side of the bed. 8.What was your first stuffed animal and what was it's name? * I remember that i had a rabbit and her name was Mari.She was brown and quite long.I remember that i thought that she was my baby and i took care of her.One point she was my student and anyway be played a lot of things together.I think i was 12 when a puppy that my family got,ripped her appart.There was only filling left and that was the end of Mari.I was so sad. 9.What's the drink you always order in Starbucks? 10.What's the beauty rule you preach but actually never practise? * Mmm that's a hard one.I think i don't drink water enough and i don't do face mask's as much i should do. 11.Which way do you face in the shower? * Hahah that is indeed a really weird question! But i face the shower that it is behind me way. 12.Do you have any weird body skills? 13.What's your favourite comfort food/ food that's bad for you but you love to eat it anyway? 14.What's a phrase or exclamation you always say? _* I say Look all the time in every sentence that comes out of my mouth. 15.Time to sleep-What are you actually wearing?